MAINtag, a provider in electronic identification (EID) for the airline and aerospace industry, will showcase its FLYtag RFID products for cabin interior part marking at the upcoming MRO Americas Conference in Atlanta. The new FLYtag fiber is designed to enable identification of life vests, boxes, pouches, slides and seat covers within cabin interiors. 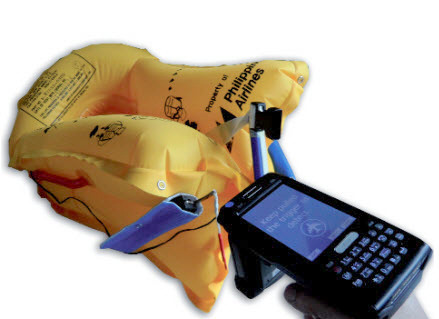 With a long read range, it may be sewn, attached with adhesive, stapled or integrated in a plastic cavity, and can be used to tag new inflatables or retrofit existing ones. FLYtag fiber may cover both dual-record and single-record formats and is ATA spec 2000 V4.0 compliant. Also making an appearance, the new FLYtag HT is a rugged ultra-light tag designed to withstand temperatures reaching 482°F/250°C, and is intended for use on metal in both non-pressurized areas and cabin interiors. It is available with both high- and low-memory capacity chips, enabling electronic identification of airborne parts for an entire life cycle. FLYtag HT is also available in dual- and multi-record formats. 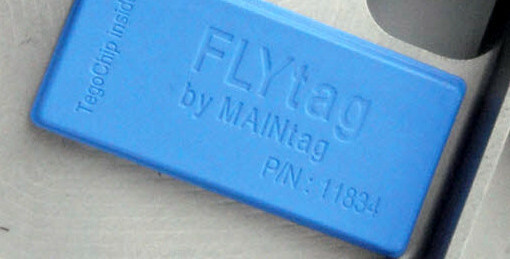 FLYtag products are all SAE AS5678 compliant and MAINtag is AS/EN/JISQ 9100 certified. Interviews and meetings with MAINtag personnel are now being scheduled for the MRO Americas Conference which takes place April 16 – 18, 2013 at the Georgia World Congress Center in Atlanta.